New open concept three bedroom, 2.5 bath, single story plan with 9' ceilings throughout - Express Homes by DR Horton. 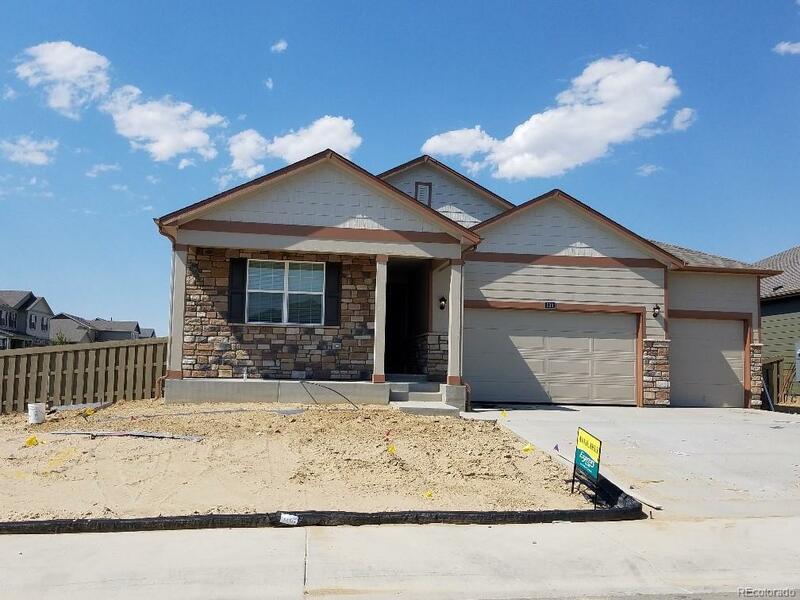 This home offers window coverings, walk-in closet, large kitchen pantry, and granite counter tops in the kitchen with white cabinets! Extended hardwood flooring in the kitchen, living room and dining room. This home comes equipped with a partial unfinished basement and front and back yard landscaping! Don't miss out on this great home!! Up to $10K towards closing costs with DHI Mortgage if you close by 9/28/18.